By Gieves & Hawkes Ltd. of Savile Row, London. Makers by appointment to the Queen and Duke of Edinburgh. Reasonably large size - approx. 71/4. 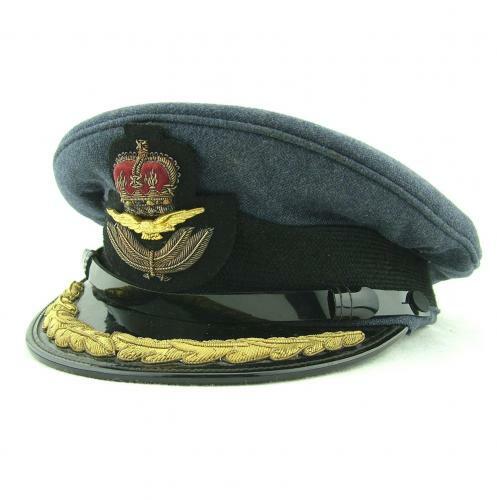 A Group Captain's service dress peaked cap. Good clean condition with no moth damage. Excellent Queen's crown bullion badge and mohair band. Very clean peak, braid, underpeak and chinstrap. Lined in pale tan satin with an acetate protection sheet. A really good post WW2 example. Stock code U21630.